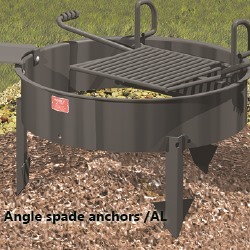 weight: 66-88 lbs depending on the height. 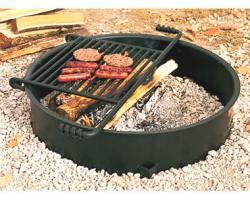 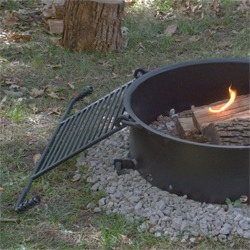 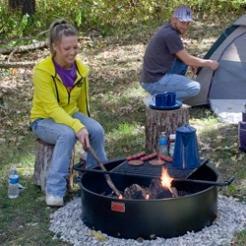 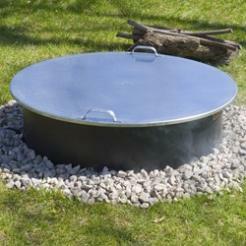 Model FS-30 Series Campfire Ring features a 30” inside diameter and is available in three different side heights of 7-3/8”, 9”, and 11-3/8”. 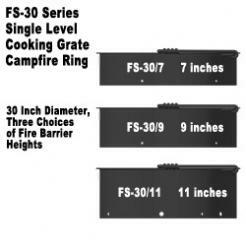 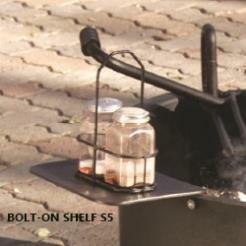 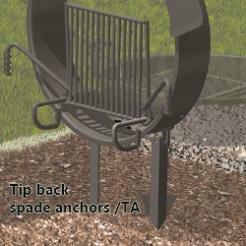 FS Series fire rings include tip back anchor pins (/TB) to keep the campfire ring secured in one place, but allow the fire ring to tip up for easy clean out. 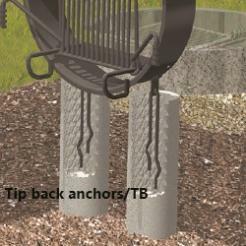 These pins must be set in concrete.